MOSCOW, the Russian Federation (BulgarianMilitary.com) – On Wednesday (6th February), the Ministry of Defence of the Russian Federation reported that an enhanced version of the RS-24 Yars ICBM (intercontinental ballistic missile) was successfully test-fired from the Plesetsk Cosmodrome in the Arkhangelsk Region that is in the country’s north, learned BulgarianMilitary.com. 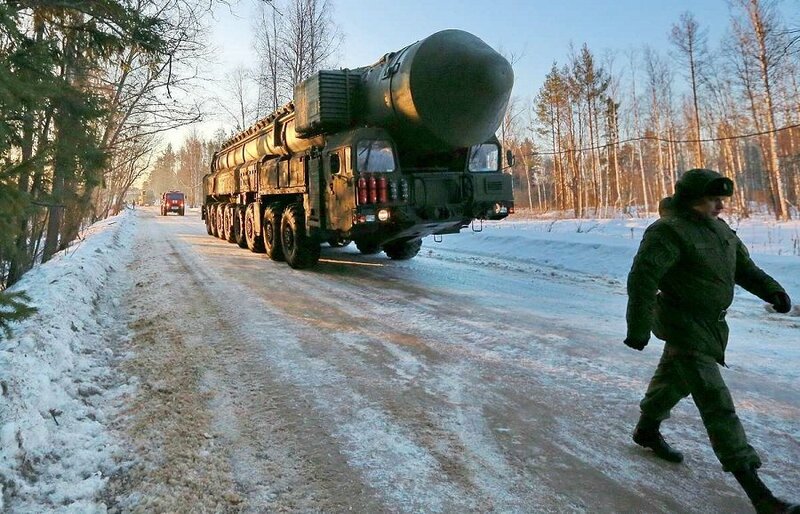 The statement of Russia’s Defence Ministry reads that yesterday, 6th February, at 11:31 a.m. Moscow time, Russia conducted a firing test of a mobile Yars solid-propellant intercontinental ballistic missile, which was armed with multiple warheads, from the state testing spaceport Plesetsk. The Ministry of Defence says further that the warheads arrived at the designated area at the Kura firing range on the Kamchatka Peninsula that is situated in the Russian Far East. According to the information released today, the assignments were accomplished in full. The Ministry stressed that the launch of the RS-24 Yars ICBM aimed at confirming the capabilities that the advanced missile system features, as well as its fight characteristics. The Russian strategic missile system RS-24 Yars, which is a modification of the SS-27 Topol-M missile system, includes a mobile or silo-based solid-propellant intercontinental ballistic missile with multiple independently targetable vehicle (MIRV) warheads and can be mounted on truck carrier or deployed in silos. The intercontinental ballistic missile RS-24 Yars was developed by the Russian scientific research institute – Moscow Institute of Thermal Technology – under the supervision of the academician of the Russian Academy of Sciences, Yuri Solomonov. The initial production of the ICBM began in 2004 and in May 2007 Russia test-fired it for the first time, when the RS-24 Yars, lauched from Plesetsk in northwest Russia, had destroyed its target in the Kura firing range in Kamchatka in Russia’s Far East. According to the manufacturer, the RS-24 Yar is capable to penetrate targets that are highly protected as well as any current BMD (Ballistic Missile Defence) System.